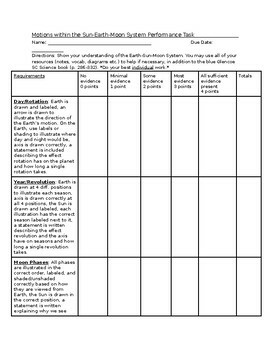 This assignment will allow your students to show their understanding of the Earth-Sun-Moon System in your Astronomy Unit. The assignment is intended to be used at or near the end of your astronomy unit. 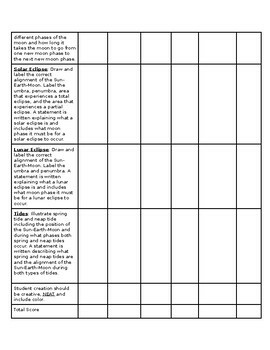 This product contains a very detailed rubric for students to use to create their final product. This assignment covers: Earth's rotation, revolution, Phases of the Moon, Solar and Lunar Eclipses, and Tides. 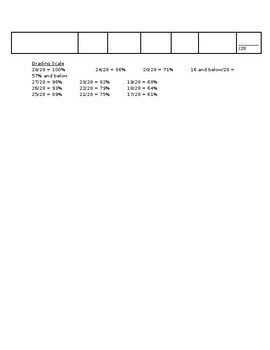 There is also a grading scale breakdown based on percentage. This assignment took two full 50-min class periods for my students to complete using their notes, vocab, and other resources they'd received or created during our time as a class learning about astronomy.